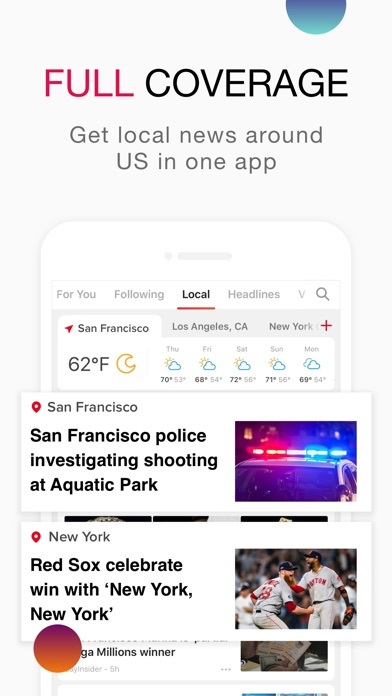 Stay up-to-date on global and local news while saving time with the newly designed News Break app powered by Interest Engine®. Reading news on an old-school app like Yahoo, AOL, Google News? 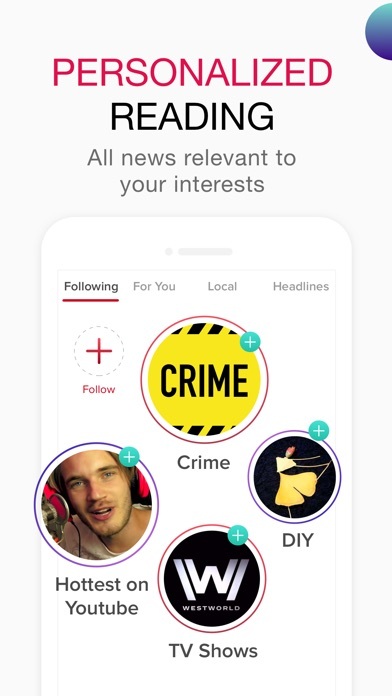 Stop app flipping and have your news tailored to you with News Break. 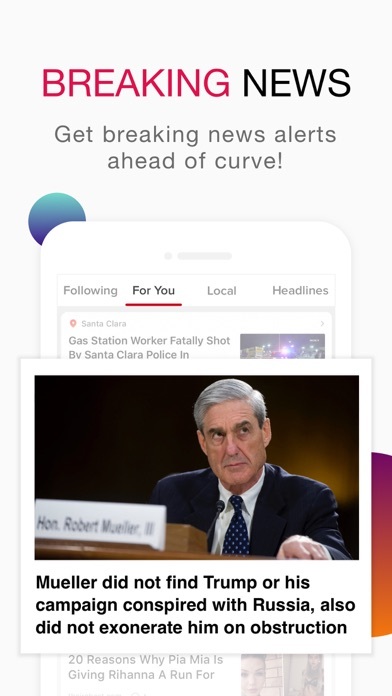 News Break is the only news app that combines 10,000 trusted sources like CNN, NBC, Fox News and more to provide the best content as fast as possible! Follow news stories on your favorite topics with our artificial intelligence algorithm. Filter out millions of news articles & radio broadcasts daily to find stories that are most relevant and breaking to you. You are what you read, so be selective and read the news with News Break. NEWS BREAK FEATURES: Stay Informed - Never Miss Breaking News + News Break brings you the news on big events like the Election or local events. + Stay informed on world news, national news, local news, celebrity news and weather news. + You’ll always have today’s breaking news delivered directly to your phone. Stay Focused – News content tailored to your personal interests + Our artificial intelligence Interests Engine discovers the best news for you daily. + Select news about anything from gardening to cooking with News Break’s premium content. Local Weather & News – Know Ahead of Time + Up-to-date local news, weather reports and forecast for every city and town. + Find local restaurants, deals, shop openings and more ahead of time from one app. NEW: Radio – Listen to Your Favorite Stations & Broadcasts + Choose from over 80,000 local radio stations across the country + Listen to News, Talk Radio, Sports, Music & More! Video & Gif – Enjoy Watching More Content + Bored of just reading and want see what viral video is trending? Find it with News Break! + Checkout hot trending videos and watch a video for all your interests. Trusted Sources – Only the Best Content for Our Readers + We’ve reinvented the reading experience and give you content on topics you care about. + Patented news content discovery engine aggregates content from more than 10,000 trusted sources. Explore breaking news, viral videos and enjoy a reading experience fully customized to your interests! Subscribe to every niche interest you have and enjoy personalized news from News Break! Download today and stay informed on world and local news! APPLE WATCH FEATURES: + Get the latest local breaking news instantly on your watch screen. + Use to text-to-speech article and read it later from your iPhone. TODAY WIDGET FEATURES: + Get the latest nearby breaking news without unlocking the phone. CHANNEL SHOWCASE: + News Break works directly with high-profile media publishers to present to you our featured channels. + Home & Garden: Design, Decor & Shopping tips to make your home better. + Food & Recipes: Hand-picked high quality content from Pinterest, Allrecipes, Buzzfeed, New York Times(NYT). + Technology & Science: Geeky news everyday! Inspiring ideas and entrepreneurship stories from TechCrunch. Hacking news and gadgets from Engadget and trending software from cnet, wired and gizmodo. 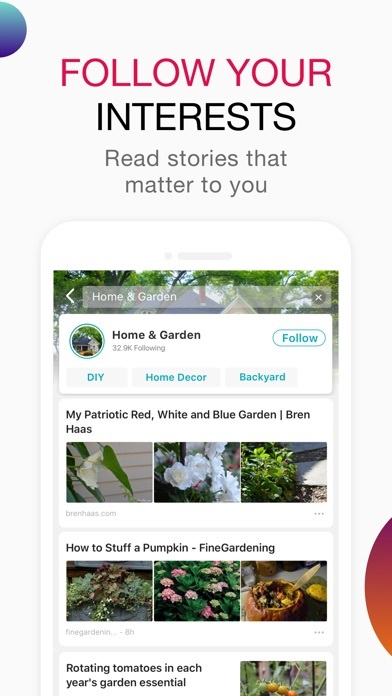 + Dealnews: Best deals from dealnews, slick deals, amazon, eBay and more Q&A: How do I make my reading experience more personalized? News Break is powered by IP protected Interest Engine®. Your reading experience is fully tailored to your personal interests. Just Search and Subscribe to start reading. Can I block certain publishers from showing up? You bet! You can always block websites or news sources that you don’t like. For every article, you can find the ‘minus’ sign on the bottom right corner. NOTE: If you are representing a publisher and want to show your articles to our fans. Please contact us: innowapp@gmail.com. I have my setting for local news, politics and national news only. Why do you alert me to the going ons of this attention seeking family! I had to delete the app because I couldn’t take it any more. It’s constant. All day. If you want to know every time Khloe goes to the bathroom or Kim eats a carrot stick, this app is for you. Bad bad bad. I moved from a metro city north of Denver to a city near Greenwood Village..still get my old city news also!! Love the News Break pop ups! Really keeps you updated! Love the feeds and how they display news that isn’t all over headlines. App seems to be getting worse! Current review: Newsbreak started out with notifications regarding local news around my area; now it’s informing me about stupid celebrities I care absolutely nothing about! How do I block this junk? I do not care about Rhianna’s shoes or anything about Rhianna or any other celebtard! Please stop notifying me of this tabloid trash—I want real news (local, science, tech, political, world, for examples). In addition, ads are becoming much more numerous and intrusive. 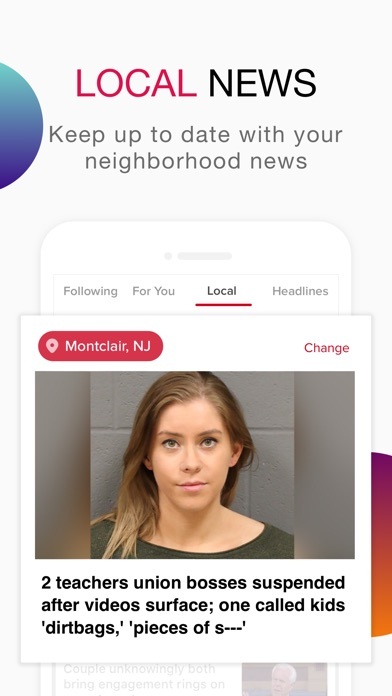 Don’t know how long I will continue using the app at this rate... Former review: Great rundown of the news, albeit depressing...Seems to be 95% local news, which is fine because it’s always nice to know what’s going on around me. Ads are dispersed throughout but not an annoyance. Notifications are handy as well. Have not noticed any of what other reviewers call “fake news” neither have I found anything other than objective, non-partisan reporting. One thing, what’s up with all the duplicate reviews from different User ID’s? More by Particle Media Inc.